During the summer, I rarely fish. Summer is my busiest time for work. Since I don't own a boat, I can't fish the lake. The times I have, I've gotten sea sick. 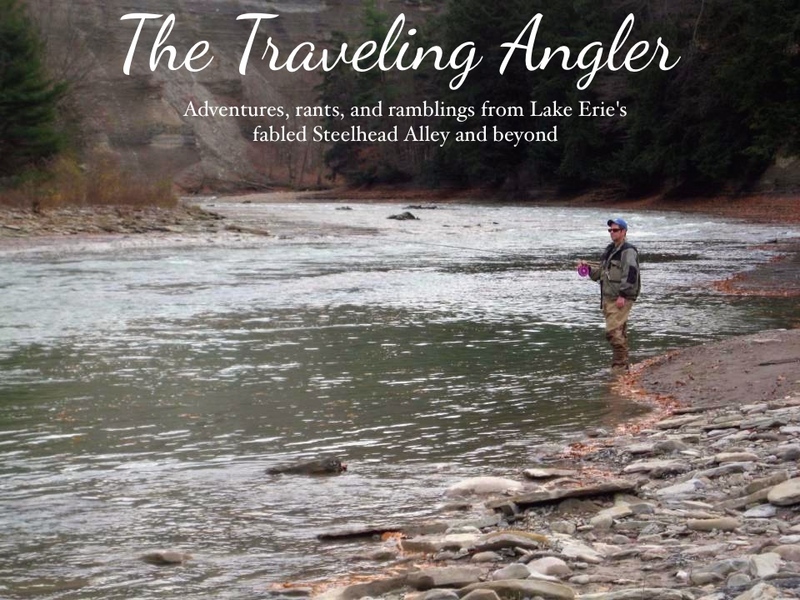 Summer is a time for me to rest after a long season of chasing steelhead. The chase started back in September and didn't end until the end the April. The early mornings, long drives and the long miles in search of fish eventually caught up. I was ready for a break, but that didn't mean I stopped fishing cold turkey. Hit the Rock this weekend after a month hiatus. During the month of May, reports of steelhead still lingering were being caught as late as the last week of the month. May is the one of the busiest months for me and it was time to stockpile the extra cash I would be making for the next 6 months. With the insane fuel prices, I'll be needing a Brinks truck to fill up. Plus, I was hungover from 8 months of fishing. Eventually the fishing itch returned when we received a blast of hot weather during the past week. I figured the channel cats and carp would start their run upriver. June is when I'm on the prowl for carp. Last year, I started to fly fish for them as they are the big game in the rivers during the summer months. I fished the midsection of the river to enjoy the peace and quiet. I was mindful that sometimes errant golf balls do end up in the river. There were enough tall trees to prevent me from getting bonked on the head from the many weekend hacks on the course. The river was very low and it was hard to believe that a month ago, the river was packed with anglers and steelhead. Many of the gravel beds were covered in algae and I could see male smallmouth bass guarding nests. I hit a favorite section that usually holds a lot of carp. Over the years, I gradually got away from fly fishing. But I wanted another challenge and I've heard that fly fishing for carp can be somewhat difficult. Carp may look like a fat, lazy fish. But looks can fool you and carp are very smart and wily. Putting myself to the test, I tied on a #12 hare's ear and started searching for feeding fish. Unlike last year, there wasn't that many carp in this section. Usually more carp start piling in this section in July and August. The clear conditions allowed me to easily spot carp without the aid of sunglasses. Last month, I got a new pair of glasses with the Transition lenses. In the full sunlight the lenses tint and I noticed a slight difference in the reduction of glare off the water. But, still brought along my trusty Polarfits. I was able to find a small school of small carp feeding. The current was slow enough that I could use a small BB shot and still get a perfect drift. 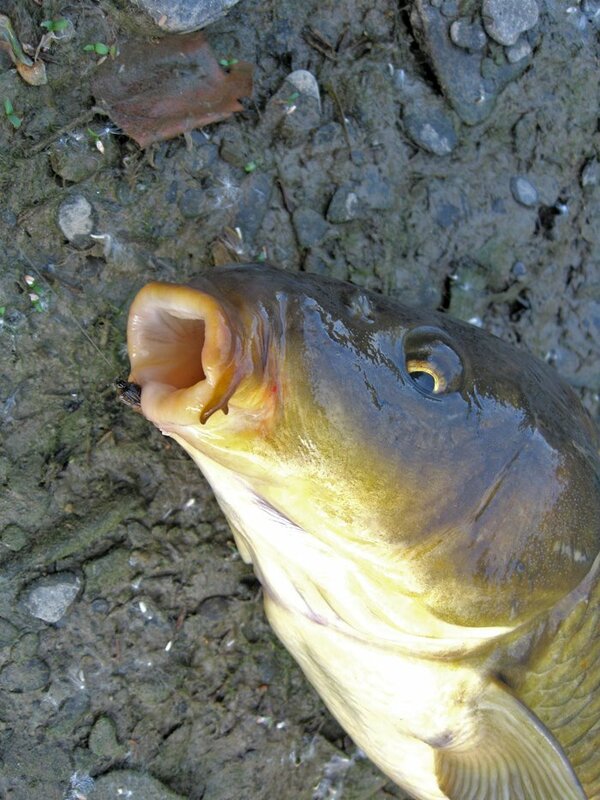 Usually carp will be dislodge or stir up invertebrates when feeding. The most numerous invertebrates in the Rocky are caddis larva and crayfish. I had four carp feeding downstream of me and I casted and quickly mended the line. It was hard to figure out were exactly my fly was and several times I didn't come close to them. During that time I could hear a munching sound behind and I looked back to see a young buck feeding on a willow. Deer in the reservation are use to people and most of the time they'll walk by or feed right near you. 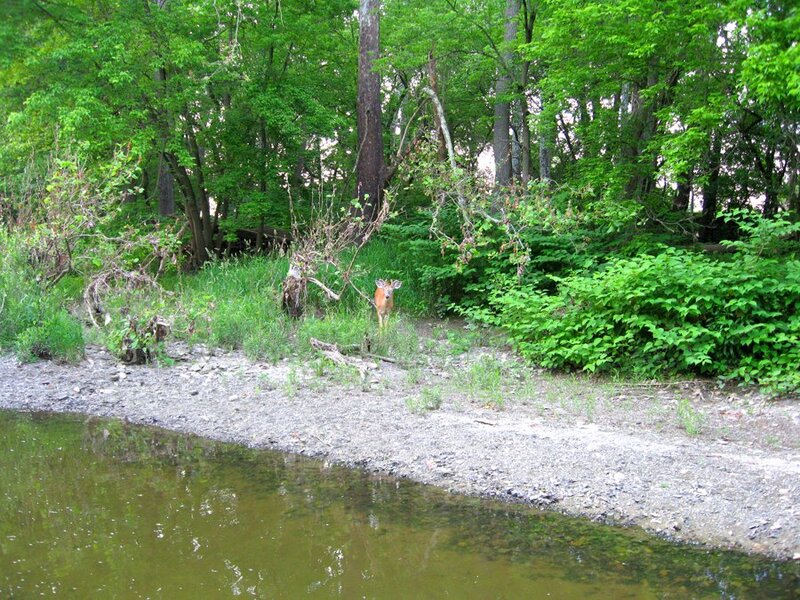 Over the years, I've seen some huge bucks - 12 pointers along the river. For years, I remember the huge buck that hanged out by the I-90 and Hillard Road bridge. But every several years the Metro Parks will cull the herd. Since the last cull, I haven't seen him and figured he got whacked and ended up on the dinner table at some local homeless shelter. I finally made a great drift and I watched one of the carp move over and inhaled the fly. The fish hooked himself and quickly bolted for the cover. I was using a 4X fluoro tippet and the fish wasn't very large. So was able to muscle him away from the brush. He wasn't a bruiser as most river carp are much smaller than the lake variety. The other fish wigged out and I had to search for another school. I walked farther down and could see about 10 carp and there was a huge one, probably about 15lbs. Only a couple were feeding and most of them were swimming about. Usually when I fish for carp I bring along a bag of sweet corn. Chumming the water gets them into a feeding mode. I tossed a handful of corn downstrem and within several minutes, the carp started feeding. This time, I tied on a yellow globug and of course a yellow globug resembles a kernel of corn. I casted upstream and did a quick mend. It was easy to see the globug drift downstream and I watched a large carp come up and inhale it. I set the hook and the fish shot downstream taking me into the backing. Most of the time, carp will make one long run and run out of gas. I hauled him onto the beach and measured him at 29" and fat as a tire. The problem with carp fishing in clear shallow water that usually one fish will be caught as the others take off. So I had to move to another spot and I didn't find any other fish. Soaked from the humidity and the ton of gravel in my old sneakers, I decided to call it a trip. Hopefully this summer will go by fast it's only 3 1/2 months until late September.